Hemp-organic cotton quilt cover in queen size. 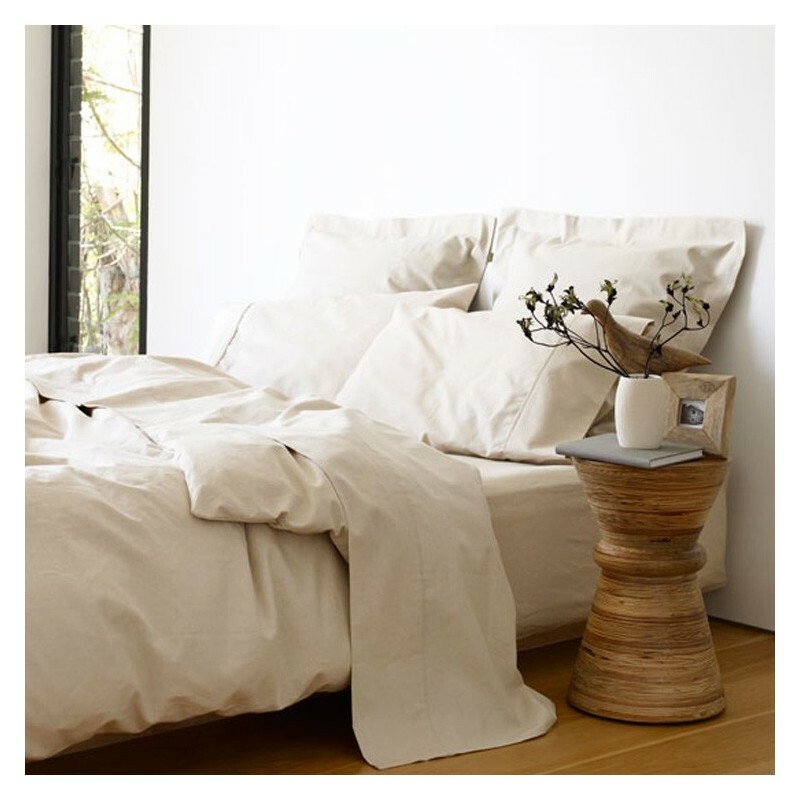 For a healthy sleep, surround your body with natural, undyed hemp-organic cotton bed linen. Buying this product = 275 Reward points for Members. Your cart will total 275 points = voucher of $13.75. Not a Member? Join at checkout to claim these points. For a healthy sleep, surround your body with natural, undyed hemp-organic cotton bed linen. Made from a 55% hemp-45% organic cotton blend (making the fabric more soft and fine than 100% hemp). 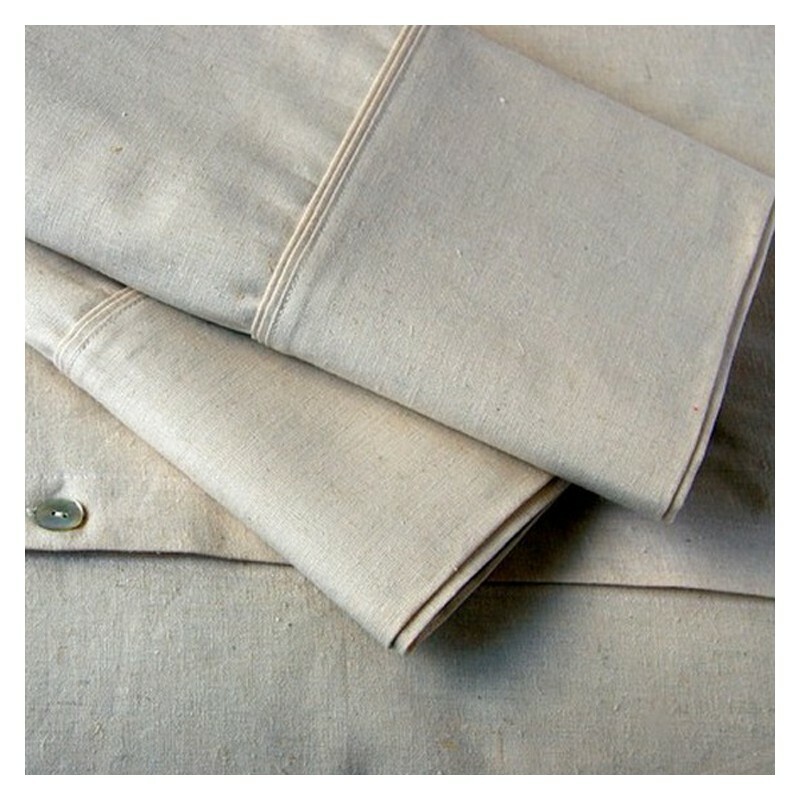 The sheets have a beautiful raw, thick linen-like appearance that softens with every wash.
Hemp is a beautiful, eco choice. It grows rapidly, needs no pesticides, herbicides or fungicides and modest quantities of water. Organic cotton is grown without the use of synthetic chemicals. The cotton used is non-GMO, SKAL certified organic. 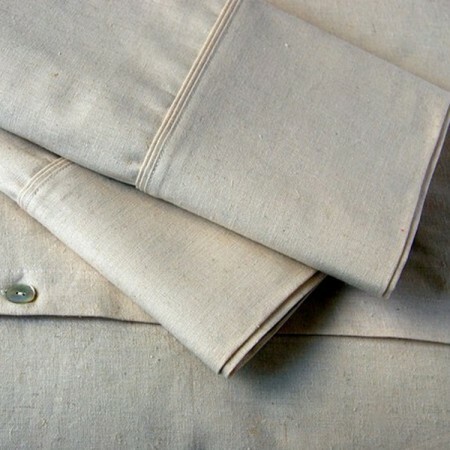 This bed linen is unbleached, which gives it it's beautiful appearance without added to the chemical load on the planet. Stronger than any other natural fibre, ensuring long lasting bed linen practically for your life! Hemp up to 8 times the tensile strength and 4 times the durability of cotton. Progressively softens with every wash, without losing its shape. Superior inherent absorbency and ‘breathability’ helps promote good sleep. Warm in winter, cool in summer. Naturally hypo-allergenic, anti-viral and anti-bacterial — excellent for asthma and allergy sufferers. Quilt/doona cover has a fine double pleat finish across the cover 20cm down from the top edge. The base of the cover is closed with shell buttons. Made in Australia from imported fabric. Please note: some items may take two weeks to ship. We will advise if this is the case. Photo indicative of fabric only.